We all use our smartphones a lot and that, of course, leaves lots of germs on your device but how do you clean that? 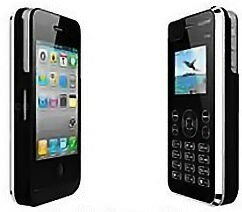 The PhoneSoap 2.0 can do that for you in 5 minutes and it does not use any liquids so your phone is safe. 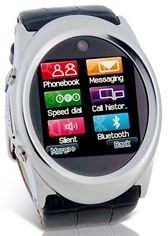 The PhoneSoap is a UV sanitizer. Just place your phone in the case and close it and in 5 minutes your smartphone will be cleaned and if you want you can even charge your phone while it is being cleaned. Yes, smartphones big (like iPhone 7 Plus) and small (like the original iPhone) will all fit in the PhoneSoap and if you want your tablet to be clean then you are in luck as they have a much bigger version too. 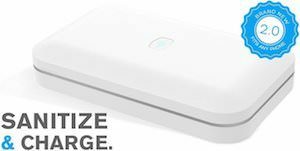 Kill the germs on your cell phone with the PhoneSoap 2.0 UV Sanitizer. We all know the problem that there are just to few wall sockets and often they are taken for charging your phone or tablet. But the people of Bestek made a solution for those problems. 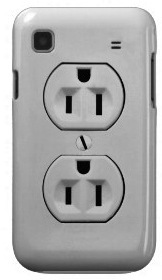 This device just takes over the wall socket by covering it but offering 6 wall sockets in return (3 on each side) and then on the top there you find 4 USB charging ports and in front of that a charging station for your iPhone or Android phone (comes with two charging tips) so that even without using any wire you can charge your phone. Besides all that they also included a light on the bottom so that you never have to scared in the dark again and finally there is a surge protector to make it all just complete. Yes it does sound to good to be true but it really is true so come check out this Bestek Wall Charger System. How do you store you phone in the car? Did you think of a steering wheel mount like this one so that you have things like you maps right in front of you close to your hands and in your line of sight. Just click the strap around the steering wheel of you car or maybe your bike and your phone can be securely be in place while you are moving around. 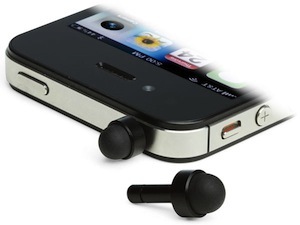 And yes the phone holder is adjustable in size so that it can hold many different mobile phones now and in the future. 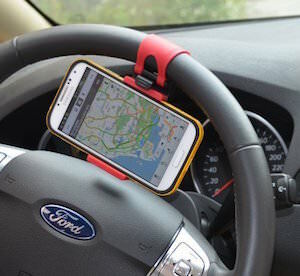 Start a road trip in style with this Phone Holder For Your Steering Wheel. We like to use our phones for all kind of cool things like watching movies, navigation and more. But for many of those tasks you just want to look at it you don’t have to hold it and for that task there now is this clip holder. 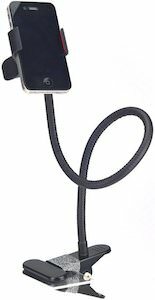 This is a gooseneck of 600mm and on both ends you find a clip one clip is made to connect it easy to your car, bed, desk or what ever else you can think of and the other clip is specially made to hold you phone securely in place. So now you smartphone can be held in place while you enjoy the view. 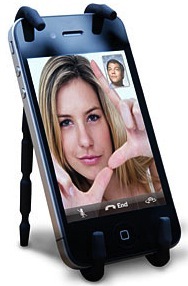 Come take a closer look at this Gooseneck Clip Smartphone Holder. Great you got a new phone but now they gave you a micro sim but that one doesn’t fit in your old phone that you still use for traveling. 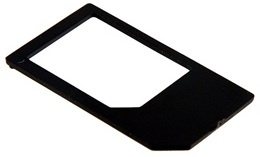 No worries this simple converter lets you use your micro sim in a normal size phone. Just put your micro sim in the adapter and place it in you old phone that is all you have to do. This adapter cost just over 1 dollar (including shipping) so it should be just be part of you travel kit. Don’t wait just order this Micro Sim to Sim Converter. Instead of only doing cases for Apple products we are gone try to do some more cases for other companies. This case is for the Samsung Galaxy S and is white and shows two power outlets, Ok you can’t use them but it looks fun and like you are carrying your own power station. Case-Mate makes this case and that means that your favourite Android phone the Samsung Galaxy S can be protected from harm. Come check out this case up close, come see the Samsun Galaxy S Phone Case.